Pretty former Georgian Coaching Inn just off the A811 in Drymen. Buchanan Castle less than a mile away and well placed for exploring the Trossachs. 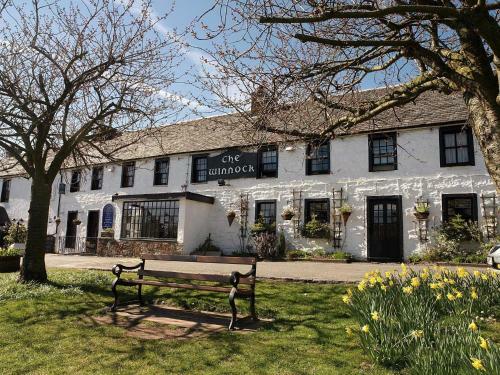 The Winnock Hotel can be found on the gentle village green in the attractive village of Drymen on the east side of Loch Lomond. Guests can look forward to a very high standard of accommodation and a terrific location for exploring the lofty crags and peaks of the Arrochar Alps and Ben Lomond and the beautiful Scottish countryside that surrounds it. Comfort and traditional are remarkably well combined in this former 18th century inn. Buchanan Castle is a mile or so north of the hotel and the Queen Elizabeth Forest Park provides some classic woodland and riverside walks and trails.